Two academics from the University of Plymouth have recently returned from a trip to Kenya as members of an orthopaedic surgical partnership to help patients get back on their feet. 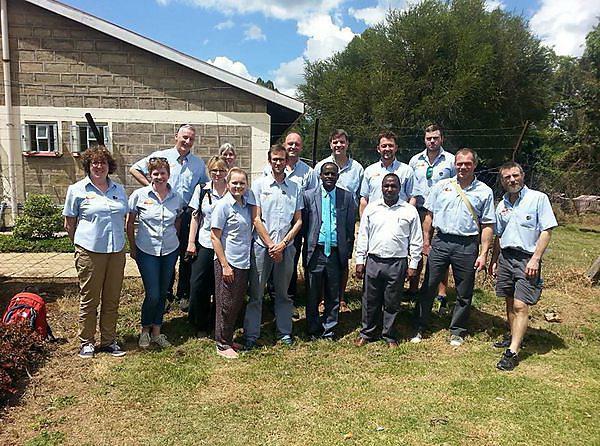 Alongside health professionals from around the south west, and working with Kenyan hospital practitioners themselves, Alice Inman and Dr Matt Ward from the University’s Global Health programme travelled to Nyahururu District Referral Hospital with Kenya Orthopaedic Project. The project performs vital surgery and treatment on people who are unable to access the specialist services they need, working alongside the local team to “share skills and transform lives”. The project was initiated by Dr Lucy Obolensky from the University of Plymouth 10 years ago and, on average, two to three camps have taken place each year. It is now led by Christoph McAllen, Trauma & Orthopaedic Surgeon from University Hospitals Plymouth NHS Trust (UHPNT) but the full team consists of multidisciplinary practitioners from across the south west. “This project has been running for several years now, but it never fails to amaze me how many people and the variety of problems we see. The partnership continues to develop. This time we ran a pilot of an electronic notes and referral system, which was enthusiastically adopted by the local team who could see real potential for sustainable change in the future. Created in 2016, the Global Health Collaborative (GHC) represents the coming together of individuals and organisations with an interest in global health issues.